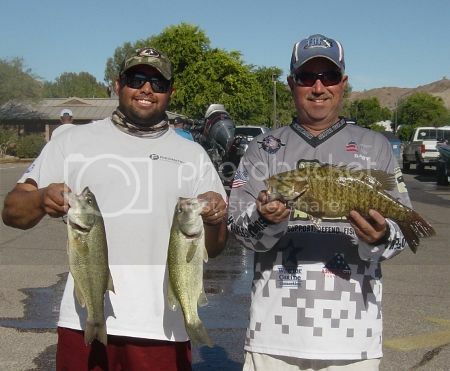 Nov 8-9 we held our Club Championship at Lake havasu. You could not have asked for better weather, low of 65 and a high of over 80! The only drawback was they had dropped the lake about 3-4 feet and some areas were not accessible. With a 4 boat field (we really need to get more people there)! We launched a little late day one but everyone got out and it was game on. Don and Ellison came out of the gate in front for the first day with a nice 3.83 smallmouth and a 5 fish limit of 8.45 pounds, Gary and Calvin were right behind with the big fish the first day of 4.50 and a 3 fish weight of 6.71. Paul Hemsley was in third with 2 fish with his big fish of 3.89 and a total weight of 4.97 and Toby and Randall Bruce with 2 fish at 4.13. After we synchronized our watches we all launched as the sun was coming up this time and again the weather was awesome! The bite was a bit tougher the second day with at least three tournaments going on over the weekend. The top water bite was a little slow but came through for a few boats! 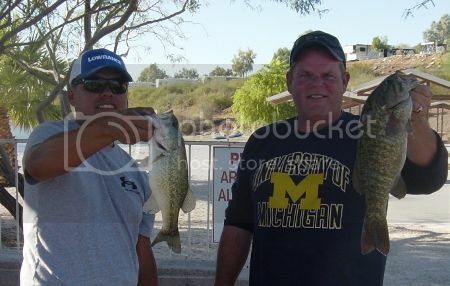 At the end of the day Gary and Calvin came in with a nice sack of 9.35 for a 2 day total 16.06. Don and Ellison came in with 5.35 for a total weight of 13.80, Toby and Randall had 5.03 and Paul had a rough day with 1 fish but did not weigh in. All in all it was a fun weekend with the traditional p@ker game that Randall and Toby went to wire with Randall taking home the win! 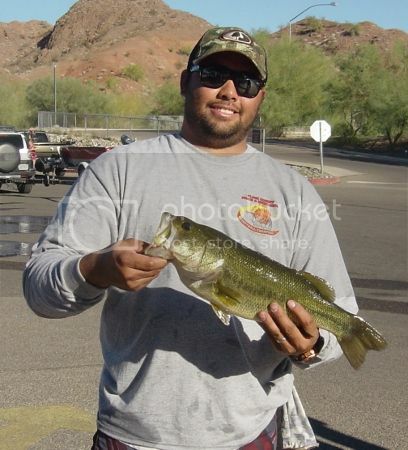 Fun time had by all with everyone stating that they can’t wait for the spring 2 dayer at Lake Havasu.